as these can all cause post-operative bleeding (hot drinks are allowed as long as they have been allowed to cool to warm). Avoid any food that is sharp, scratchy or sticky (e.g. toffee, chewing gum).A soft diet for the first 48 hours following your surgery is advised. During your surgery today you may have been given an injection of local anaesthetic in the gum near where your tooth has been extracted. This helps to minimise any pain after the operation. The local anaesthetic used causes temporary numbness to areas inside your mouth. Be careful not to chew the insides of your cheeks or accidentally bite your tongue. The local anaesthetic will gradually wear off over the next few hours but you may experience a slight loss of sensation on patches of skin around your chin for a short period after the surgery. Bleeding should stop soon after your surgery but you may find the sockets ooze slightly for 24 hours. Your discharging nurse will give you a small supply of dental packs to take home. If you experience any bleeding at home, moisten with tap water and wring out, a dental pack to allow it to become more flexible. If you have had more than one tooth extracted, rinse your mouth with water so you can see which socket is bleeding. Apply the pack over the socket that is bleeding and bite firmly (but not too hard as this may cause discomfort) for 20 minutes. If the bleeding continues you may need to reposition the pack. If after 20 minutes the bleeding continues then please contact your general dental practitioner or contact one of the telephone numbers on page 5. If you don’t have one of the dental packs to hand, then use a clean handkerchief rolled up so that one corner is made into a hard pad twice the size of the bleeding socket. Once the bleeding has stopped a blood clot will form over the socket. It is important to try not to knock that blood clot away or you may cause the socket to start bleeding again. During the week following your surgery you may experience some discomfort, swelling and bruising around your cheeks, jaw line and neck. Due to inflammation around the joint your jaw may also become stiff. With time and regular use of painkillers, this should subside. Alternative therapies such as a warm wheat pack placed around the neck or a bag of frozen peas wrapped in a tea towel and applied to the jaw may help. 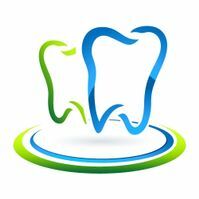 Following your tooth extraction, you may be left with a small pouch/hole in the gum where your tooth was. This hole will gradually close up from the inside out over the next 3 - 4 months. If food particles become lodged in the hole then swill your mouth with mouthwash or use gentle brushing to free them. out. Repeat mouthwashes 3-4 times a day and after you have eaten to make sure your mouth remains clean. Do not use any other mouthwashes after the operation unless instructed to by the ward nurses or oral surgery doctors. Tooth brushing should continue as normal. If you notice an unpleasant taste in your mouth or an unusual discharge this may mean that you have an infection. We recommend that you make an appointment to visit your dentist. Use your tooth brush as normal but take care around the extraction site. It is important that you keep your mouth as clean as possible to allow the area to heal properly. Physical exertion is not advised until the following day at the earliest. If in doubt ask the Dental Surgeon for advice. Do not eat until the anaesthetic has fully worn off and then only eat soft foods. Avoid chewing in the area of the extraction for at least 3 days. Drinks such as warm tea are fine, but drink them straight back and do not swill them around the socket. Do not consume alcoholic drinks, or smoke, for at least the next 24 hours.